Summer to fall dressing is always a challenge, but this fun pattern-blocked dress from Eva Trends seems just right for it. This post is a collaboration with Eva Trends. All opinions are my own as always. 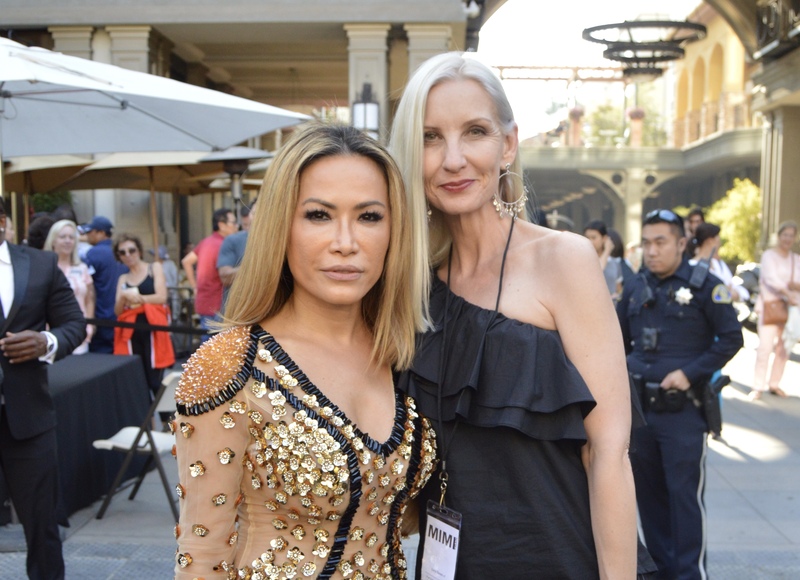 This weekend I had the pleasure of meeting the fashion designer, Mimi Tran, and drooling over her amazing creations at her five year anniversary celebratory fashion show at Santana Row. 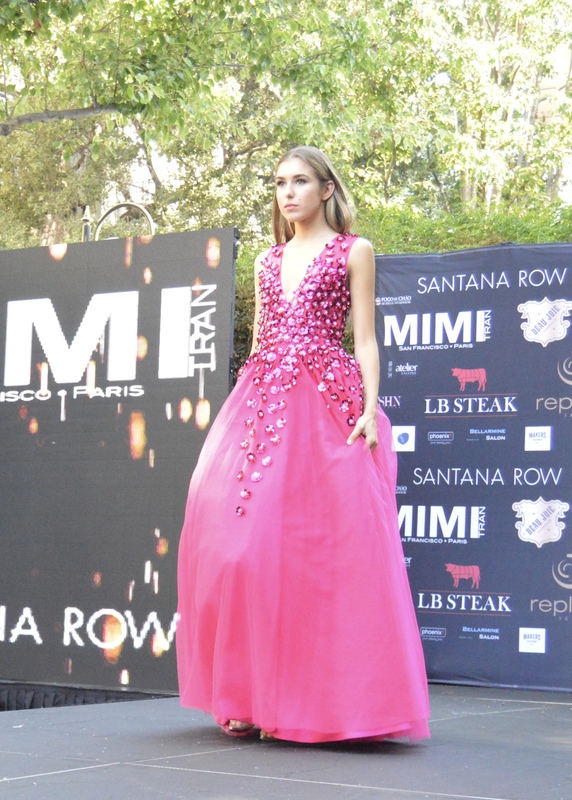 This embellished pink tulle gown was one of my very favorites. Okay, can I be honest here? I was late to game when it comes to appreciating the sophisticated and classy iconic white shirt. I would always read the white shirt on the list of must-have items for women, but I didn’t get it. I mean … first of all, it’s white and going to get dirty, right? And second of all, it probably needs ironing. But with age comes comes an appreciation of timeless, versatile, sophisticated pieces .. and when it comes to those categories, nothing beats the white shirt. Tips & Tricks for Making the Most of your Pretty Pear-Shape! This post is especially for my pear-shaped readers. If you are fuller through the hips and thighs and smaller in your torso and shoulders, you are pear-shaped and this post is for you! I hear some women complaining about being compared to a piece of fruit. Point well taken, but personally, I’ve never had a problem with the term pear-shape and frankly, it describes my body pretty darn well. I like it better than “triangle” but … whatever you want to call yourself, you know who you are! You already know how crazy I am over Soma pajamas and Soma bras, but did you know Soma makes clothes to wear out and about too? I’m in comfort heaven! Did you ever notice how often I talk about comfort? What can I say? I’m a gal who loves to feel good, along with looking good. Sure we suffer some for beauty (eye brow threading anyone? ), but if it’s not necessary I don’t like to add to my discomfort. I’m all about enjoying life and having a positive attitude, which is much easier when you’re comfortable! Am I right? This post is a collaboration with Soma. All thoughts and opinions are all my own as always. My readers know that I love fun and funky fashion! Add to that absolute comfort and an edge and these whimsical Eva Trends dungarees are my new favorite weekend look!